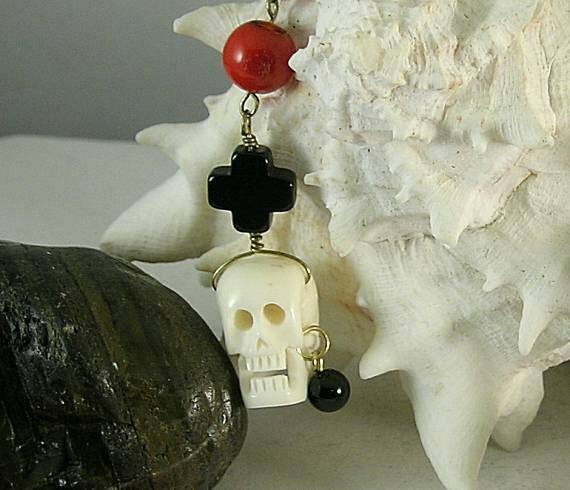 This paternoster has a 20x13mm carved bone skull wearing an onyx earring! 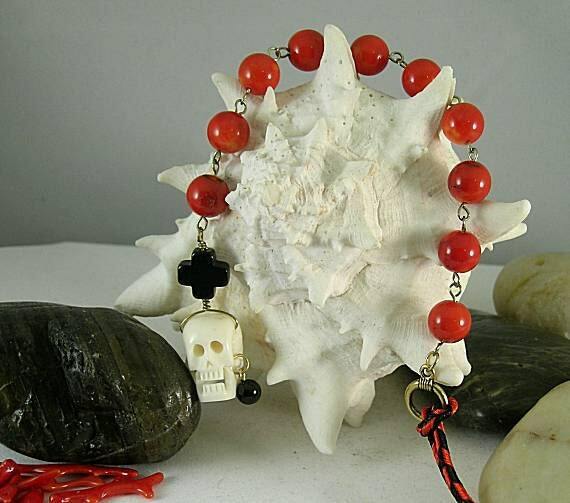 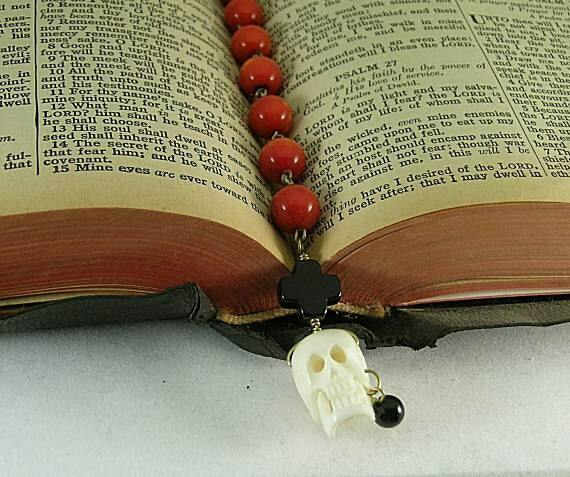 The skull bead is attached to an equal-armed onyx credo cross and then ten 10mm red bamboo coral round beads. 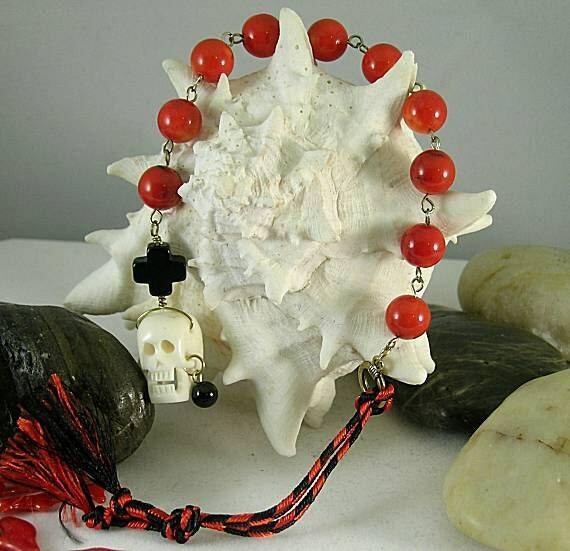 The beads are connected with wire loops and have a metal ring with a cord for hanging from the belt on the other end. 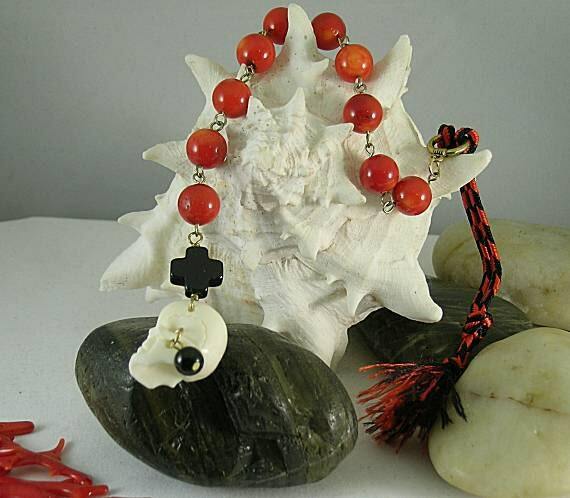 Excluding the cord, this string of prayer beads measures almost 9" in overall length.